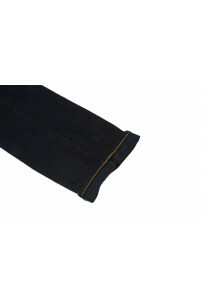 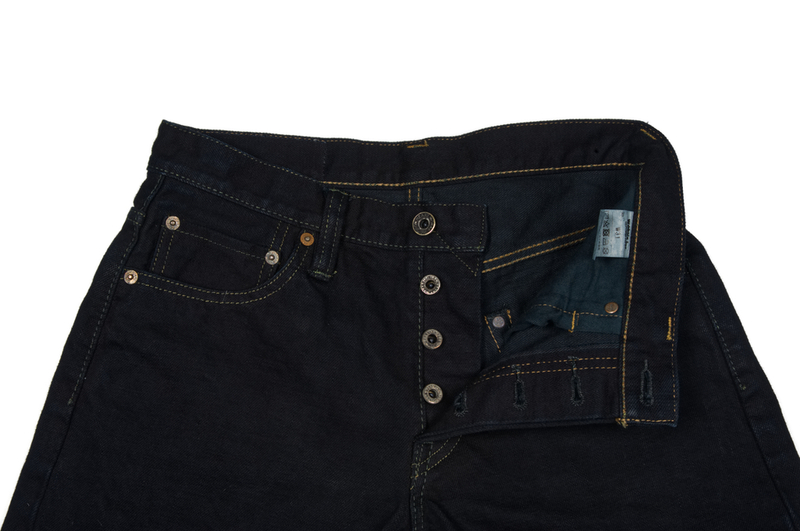 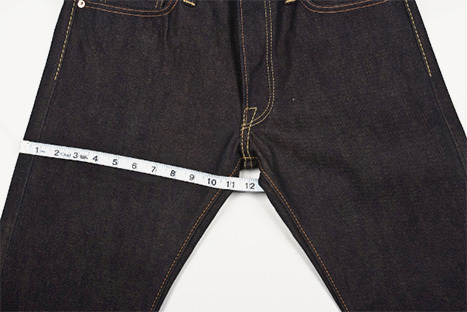 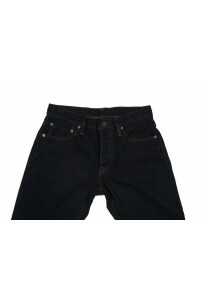 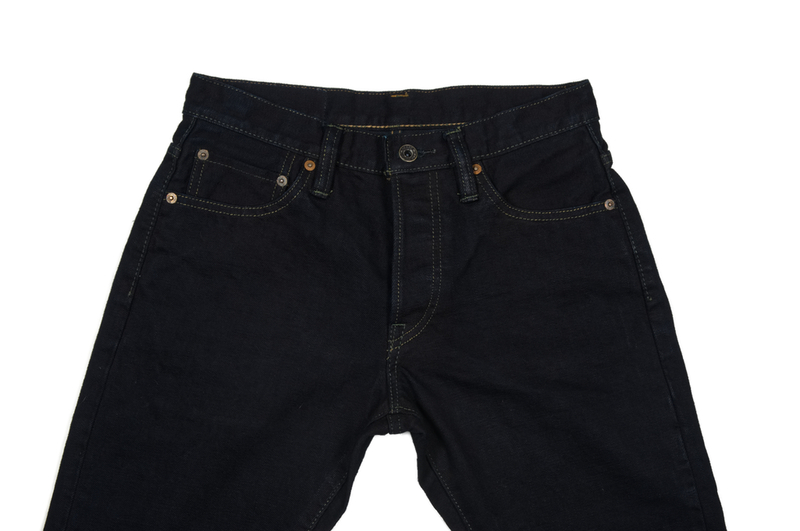 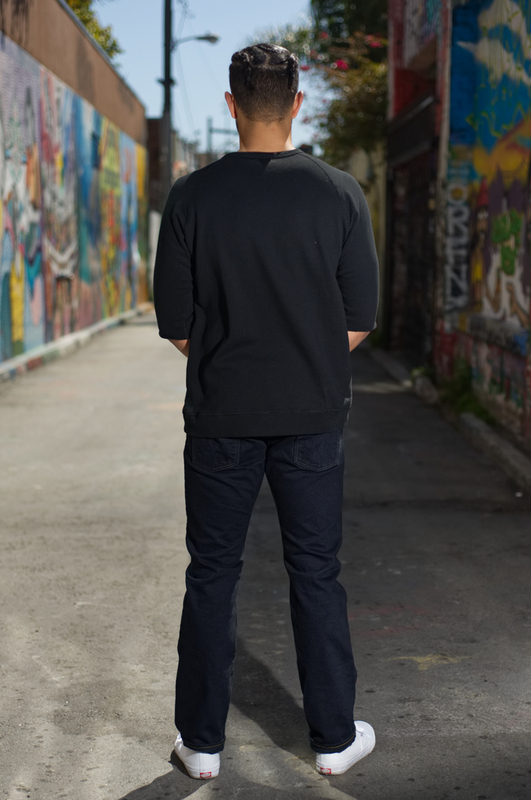 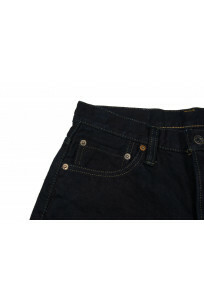 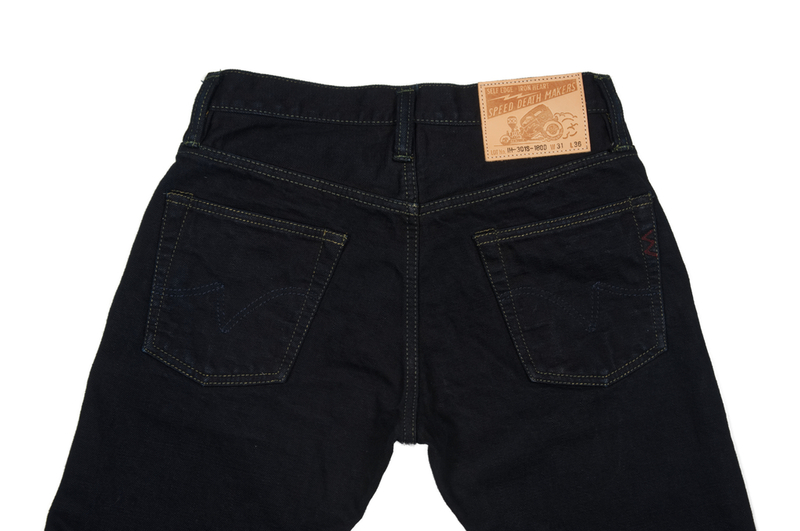 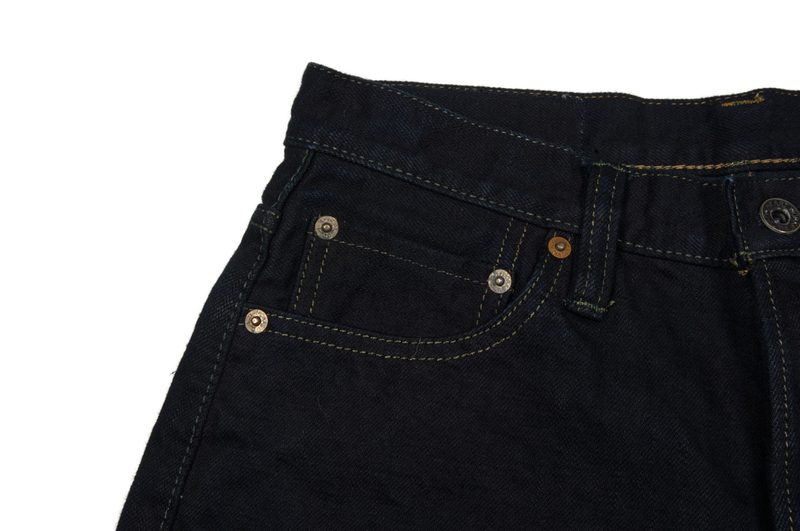 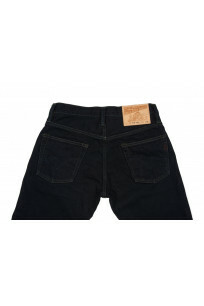 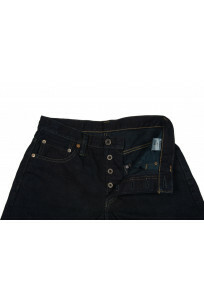 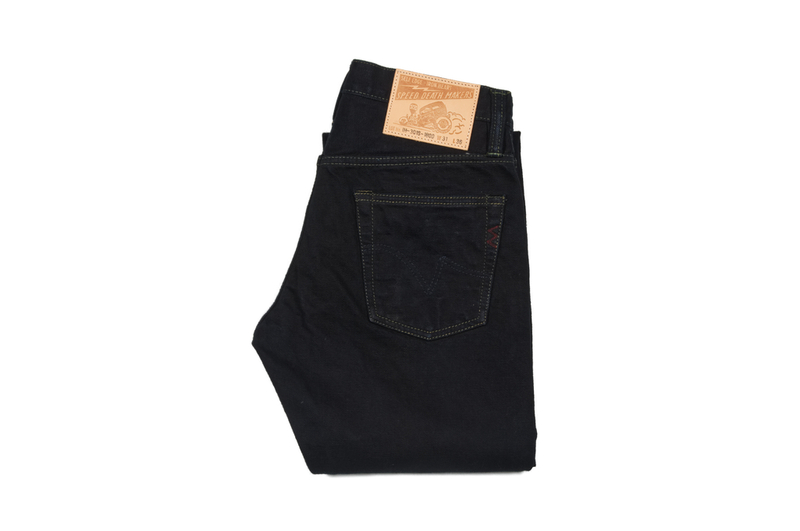 This version of the 301 jean has been overdyed black with a fugitive pigment dye which is an unstable and un-permanent dye that fades to later show the indigo denim underneath. 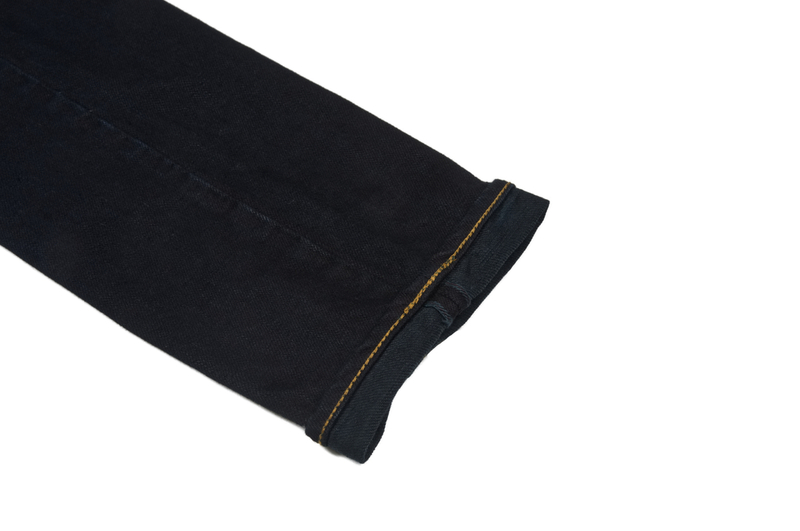 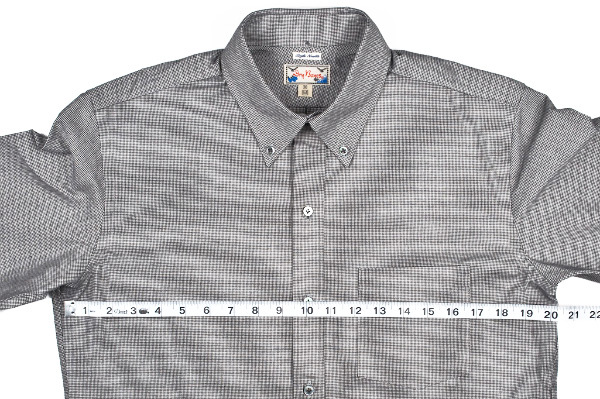 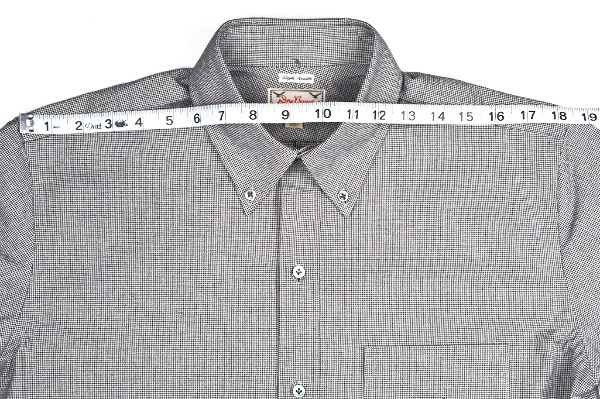 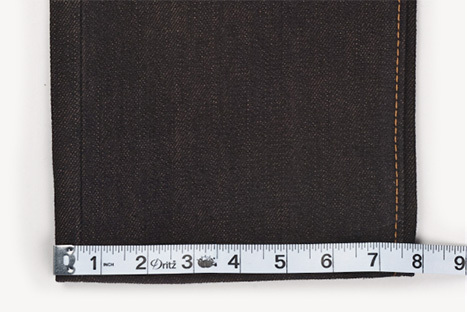 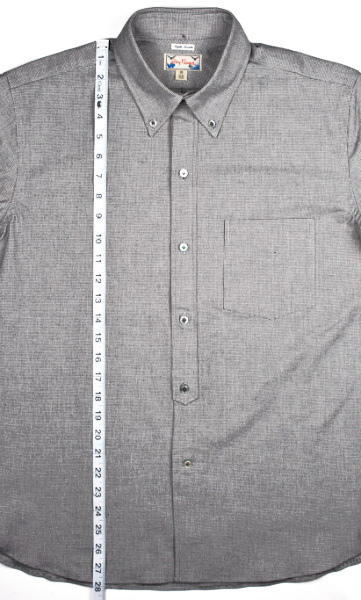 Essentially this is a denim that begins black and fades to indigo in high friction areas, or what the Japanese call the "atari" fade. 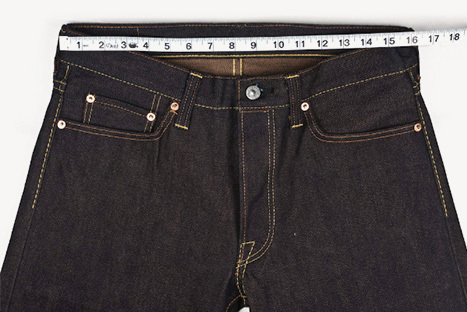 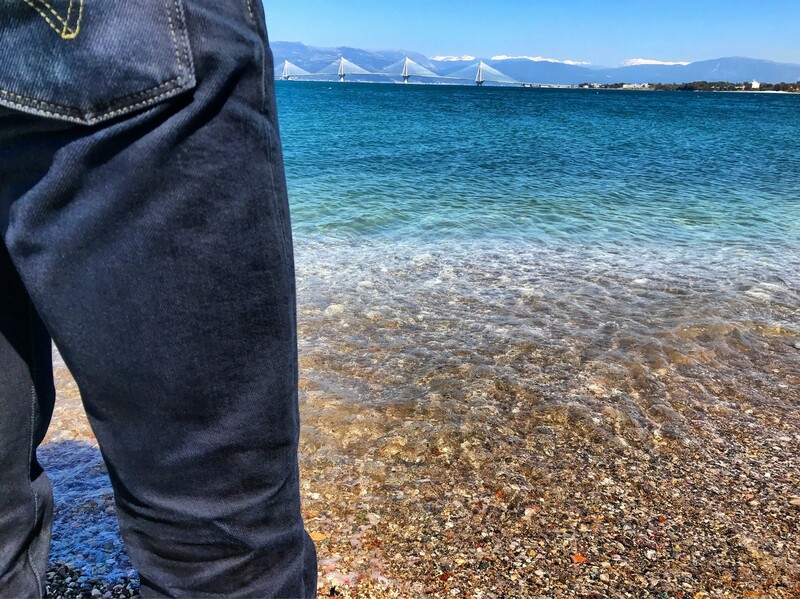 Iron Heart released a set of overdyed jeans (using their flagship 21oz sanforized denim) years ago, those turned out to be some of the best looking worn jeans we've ever seen from the few people that got their hands on a pair, we expect no less from this jean. 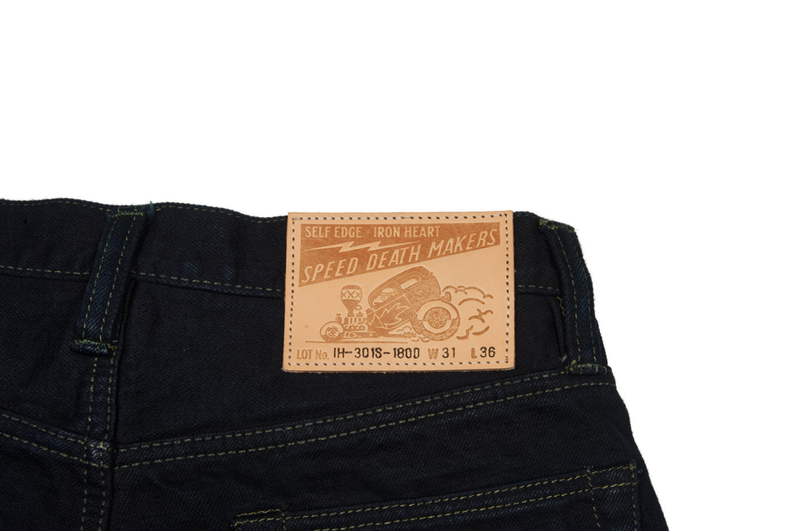 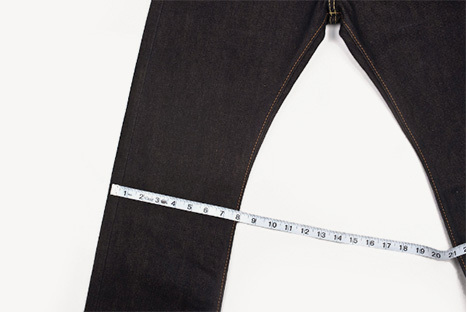 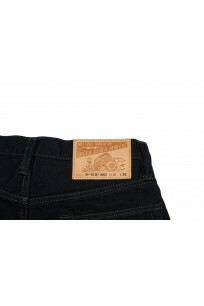 The 301s fit from Iron Heart has turned into one of our best selling slim tapered jean fits at Self Edge, it's a perfect slim cut with a tapered for a small leg opening. 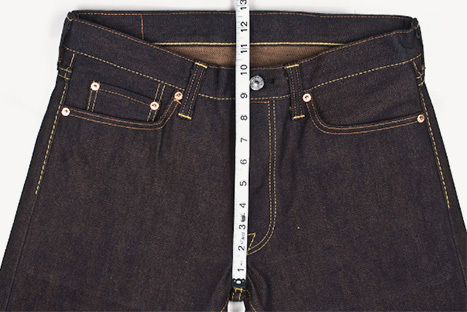 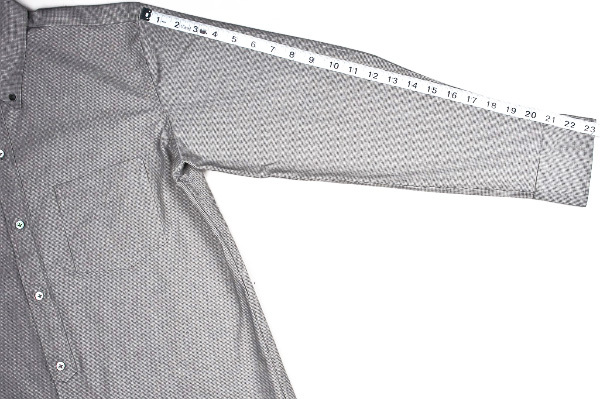 Waist 28" 29" 30" 31" 32.4" 33" 35.5" 36.6"
Inseam 35" 35" 35.5" 35.5" 35.5" 35.5" 35.5" 35.5"
Thigh 10.75" 11.25" 11.5" 11.75" 12.1" 12.25" 13" 13.3"
Knee 7.2" 7.4" 7.6" 7.75" 7.8" 8.2" 8.5" 8.8"
Leg Opening 6.5" 6.6" 6.9" 7.1" 7.25" 7.4" 7.8" 8.1"
Front Rise 9.1" 9.5" 9.75" 10" 10.1" 10.25" 10.7" 11"
Back Rise 13.2" 13.3" 13.5" 13.7" 14" 14" 14.5" 14.8"